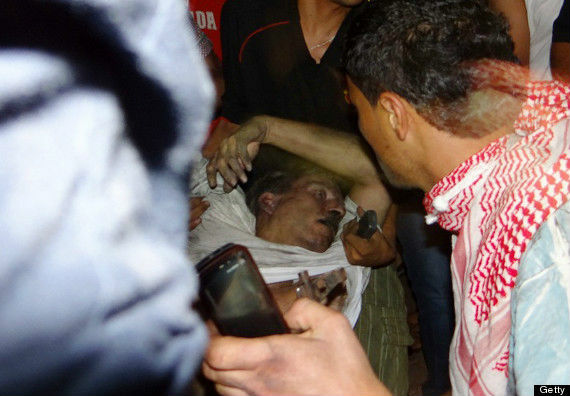 The appropriate reaction to what happened last night in Cairo and, especially, Benghazi is fury. The question is, what are we going to do–not say, do–about it? 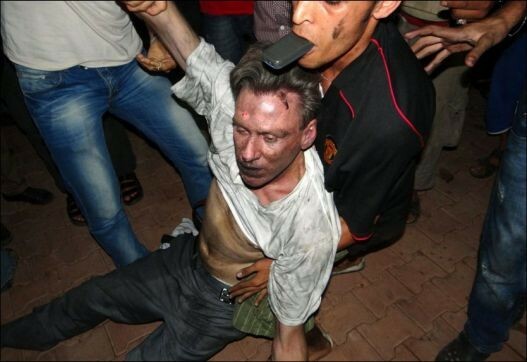 UPDATE: This photo, said to be of Ambassador Stevens, has surfaced. It does seem to be him. The caption suggests that the people in the photo are “helping” him; that could be true, I suppose. He is also described as “unconscious.” It is unclear when in the sequence of events these pictures were taken. FURTHER UPDATE: This is just about beyond belief. We have a failed policy in the Middle East, an American embassy and consulate attacked by Islamic radicals in two countries whose regimes the Obama administration participated in overthrowing, a murdered ambassador–the first in 33 years–and the burning question in the media-formerly-known-as-meanstream is whether Mitt Romney was wrong to criticize the Obama administration’s response to the attacks. Of course, reporters are entirely consistent. Remember when things weren’t going well in Iraq–weapons of mass destruction weren’t found, al Qaeda stimulated sectarian violence, military casualties were rising–how the media became enraged every time a Democrat criticized George W. Bush’s Iraq policies? Yeah, that’s what dominated the news back in 2005 and 2006–reporters saying to Democrats, how dare you try to politicize foreign policy? Don’t you know that politics stops at the water’s edge? That’s how I remember it! [Libyan interior-ministry official Wanis al-Sharef] said Stevens, 52, and other officials were moved to a second building, deemed safer, after the initial wave of protests at the consulate. According to al-Sharef, members of the Libyan security team seem to have indicated to the protesters the building to which the American officials had been relocated, and that building then came under attack. STILL MORE: Arab news sources are reporting that Stevens died from smoke inhalation. I’ve seen one report that attributes this statement to a doctor at the hospital in Benghazi, but can’t now find it. That doctor also said that he was otherwise unhurt, although that seems dubious in light of the photographs.